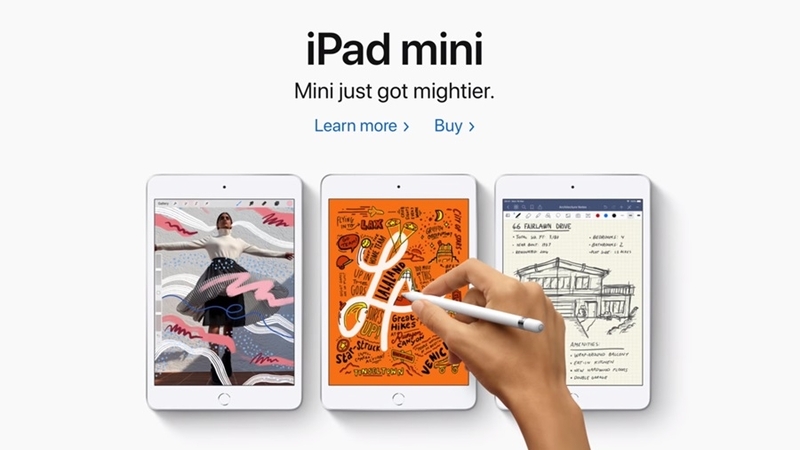 The iPad Mini 5 finally hit the market recently after its predecessor was released in 2015. And at first glance, nothing seems to have changed all that much. The iPad Mini 5 has the same display and dimension to its predecessor barring a few subtle changes that the Cupertino=based company has made. The new iteration supports a wider range of hue that makes images more vivid. What’s more, Apple has also outfitted it with True Tone tech that adjusts to the natural lighting of the surrounding area and makes texts more legible on the device, MacRumors reported. But under the hood of the iPad Mini 5 is the biggest change that Apple paid attention to. This new variant will be faster and more capable than its predecessor thanks to the A12 Bionic hardware. It will be able to handle the latest demanding games on the market, as well as apps and augmented reality that users choose to tinker with. For its storage, the iPad Mini 5 has a 64GB and 256GB option for users. It’s still unknown how much RAM this new variant has but it’s being assumed that it’s better than the iPad Mini 4. Its exact battery life is also unclear. Apple only revealed that the iPad Mini 5 will be able to handle 10 hours of usage before being plugged on the wall again. And speaking of which, the new iteration does not have wireless charging on its arsenal as it only has the Lightning port similar to its predecessor. Regarding the iPad Mini 5’s camera, it’s better than the iPad Mini 4, but only slightly. The only major difference between both devices is that the recent version sports a front-facing 7-megapixel camera opposed to the 1.2 megapixels of the fourth iteration. The iPad Mini 5 has been tagged with a price of $400 for the 64GB Wi-Fi only version and $640 for the 256GB Wi-Fi and Cellular variant. For those who have extra cash to throw in, adding $100 more will include the first-generation Apple Pencil, a welcome addition for artists who want to doodle on the device. Overall, Apple has done a decent job in reviving this series. While some may not be too keen on purchasing the device, there’s certainly room for it in the market, especially for those wanting a portable handset that can be easily slipped into the handbag.